The State Fair of Texas is a big deal here in Dallas, and it all revolves around one campy statue. Big Tex is a 52-foot-tall cowboy in the middle of the park who greets visitors with a resounding “Howdy, Folks!” At least he did till recently. On October 19, 2012, the animatronic statue caught fire and burned away in just ten minutes. State Fair officials are already talking about building him “bigger and better”, so let’s take a look at some potential versions of Big Tex 2.0. Dallas has a lot of hipsters. Maybe they’d be more likely to go to the State Fair if the new Big Tex had big dorky glasses and a bunch of tattoos. 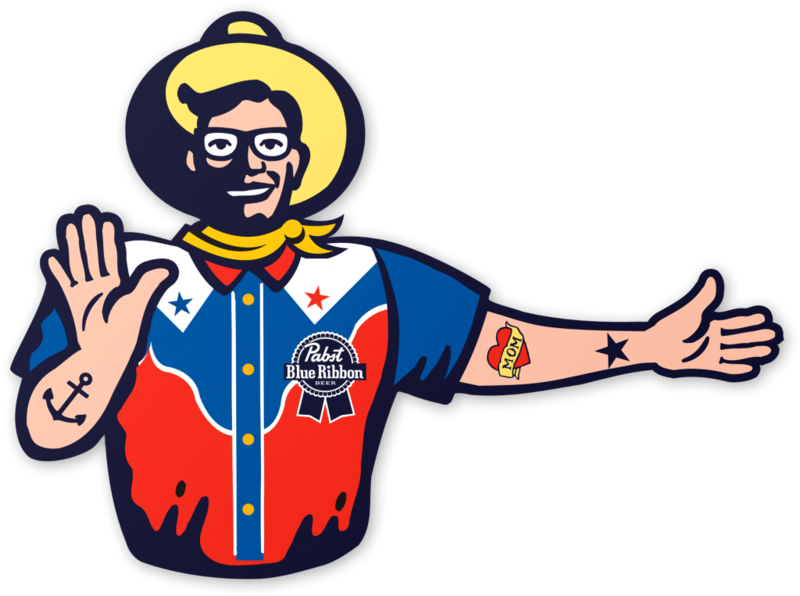 He could even shill for Pabst Blue Ribbon, the cheap swill that hipsters like to drink “ironically”. 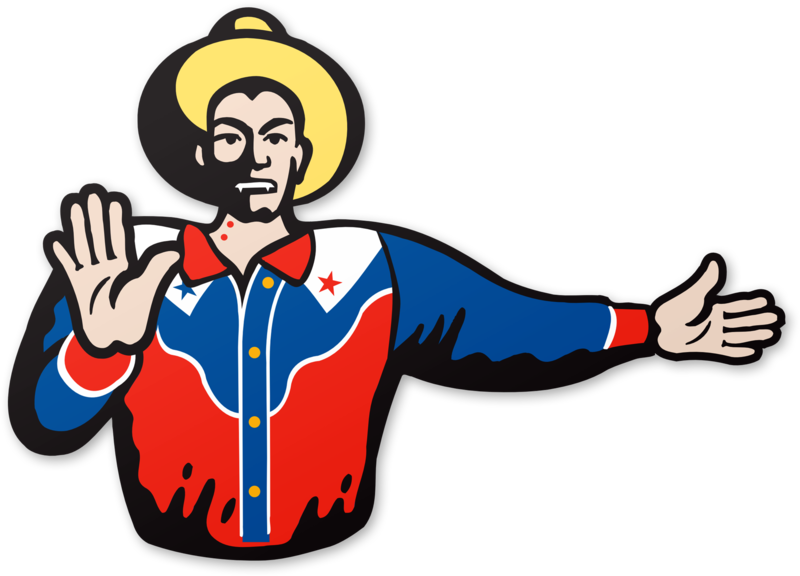 Big Tex has been sponsored by Dickies for the last fifteen years. 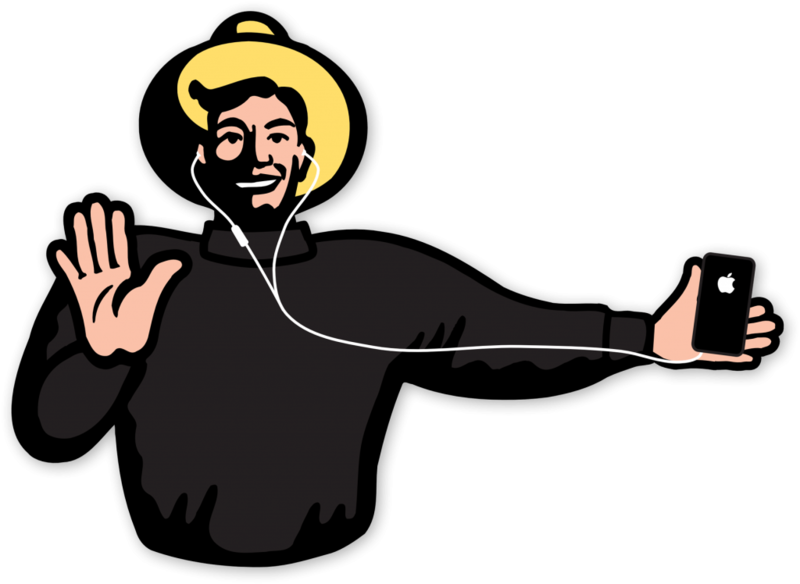 Maybe we could get Apple to sponsor a new statue. We could put “Big Text” in a black turtleneck and give him a giant iPhone. 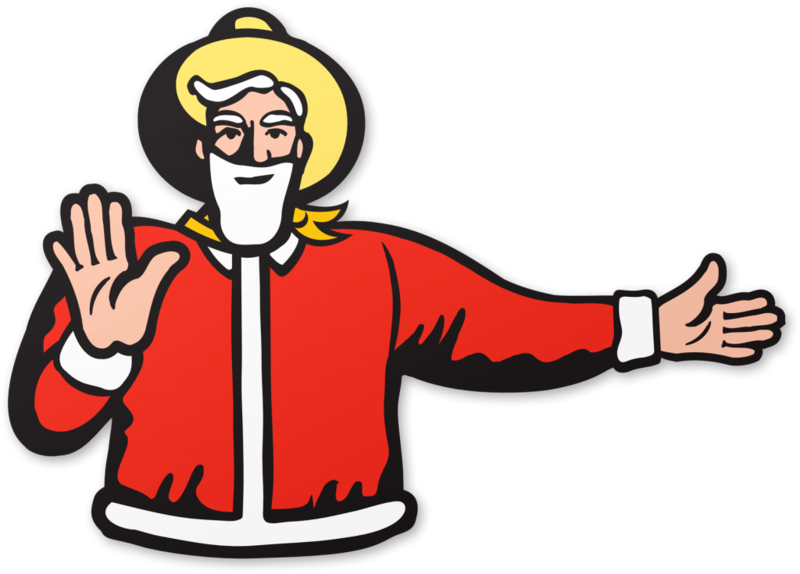 Big Tex was originally a (creepy) Santa Claus figure down in Kerens, Texas. Perhaps a reborn Tex could get back to his roots as a jolly old elf. Though if he did, don’t expect any presents from him. He’d be too big to fit down just about any chimney. Zombies, vampires and other undead creatures have been popular for years. 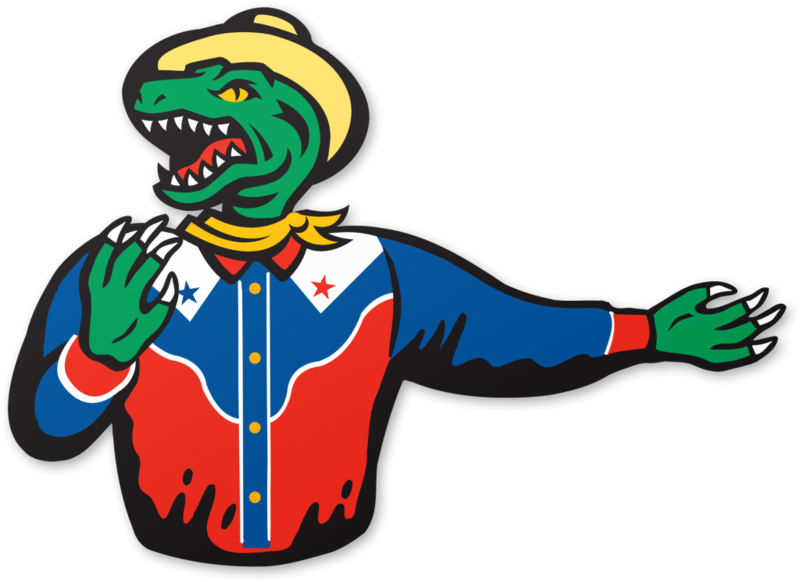 Since Big Tex is coming back from the dead next year, maybe we could make him look undead. Give him pale skin and fangs. Maybe that would help draw Twilight fans to the State Fair of Texas. The old Big Tex had an animatronic arm and mouth, so we could talk to the fairgoers and wave. If they’re going to rebuild him, they should make him fully robotic. Instead of standing around in one spot, he could stomp around downtown Dallas like Godzilla, yelling “Howdy, Folks” as he smashes buildings in a wake of devastation. While the State Fair officials promise to build him “bigger and better”, I hope that the new Tex is just like the old version. The State Fair’s all about campy fun, and there’s no need to fix what ain’t broken. So here’s to Big Tex. See you next year!